Captiva Island, though smaller than Sanibel – less than 5 miles long and 1/2-mile wide – is nothing less than breathtaking. The mystery and allure of this island dates all the way back to the time of pirates, and makes it nearly as appealing to visitors as Sanibel itself. There are restaurants a-plenty, quaint boutique shops, and tons of Captiva attractions such as shelling, fishing, nature preserves and more. Checkout Captiva’s historic Chapel by the Sea or swim in the beautiful blue-green waters of the Gulf Coast. Whatever your preference, there are lots of great things to enjoy close to Sanibel. For spectacular sunset views, try Alison Hagerup Beach Park (also known as Captiva Beach). 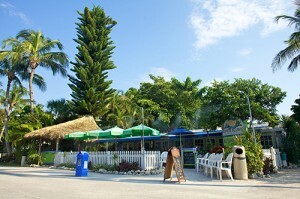 For more info on Captiva and its sites & attractions you can visit here.